Founded in 2005 under the name Europe(a), Lisez l'Europe wants to be a meeting place for the various literatures which animate European cultures. It is also a meeting point for readers, authors and publishers in Quebec. 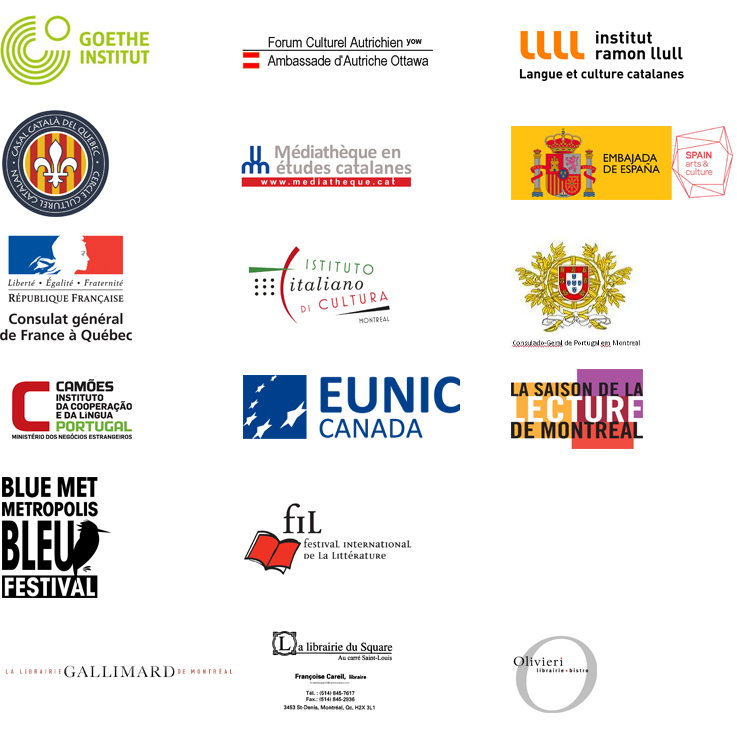 Over the years, Lisez l'Europe got local readers to discover several European authors, at the Montreal Book Fair, the Festival international de la littérature and the Blue Metropolis festival. Lisez l'Europe is also at the helm of a European Book club, which meets every month in a different cultural institut in Montreal to discuss a contemporary European novel. Lisez l'Europe invites you to come watch the grand final of the Eurovision Song Contest! This contest is organized by the European Broadcasting Union since 1956 and is the biggest music competition in the world each year, with more than forty participating countries. Tel Aviv in Israel is hosting the competition in 2019. We are again partnering with the Cabaret Mado for the occasion. Come and enjoy the atmosphere of the Village! Presented by Lisez l'Europe, as part of the Festival Blue Metropolis.